Even though there are several Forex Breakout technique that a trader may access and utilize, in this write up, you’ll be learning of one of the very bests. This will guide you in identifying the setup, knowing the right time to invest in the market and identification strategy of probable targets. Also, the four hour and daily charts time frame have proven to be effective for this technique so we’ll be considering some examples. Now, let us understand the meaning of a Breakout before forging ahead – this is regarded as price movement away from the stipulated resistant or support area of the price. This will either go diagonally or horizontally. 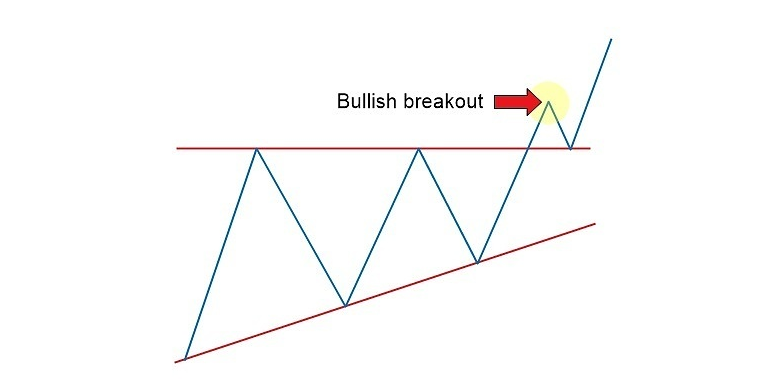 A common breakout example is a Bearish and Bullish breakout. 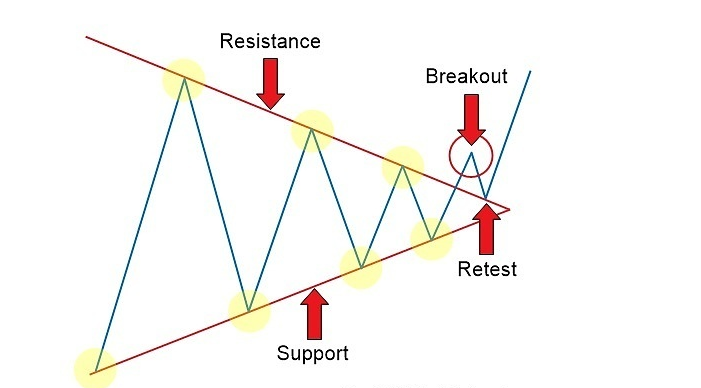 During upward mobility of the market, if it eventually breaks through the resistance above, then a Bullish breakout is said to have occurred, and if the market movement is downwards and at a point, it breaks through the resistance downward, a Bearish breakout is said to have occurred. These breakout styles are important because they signify the beginning of volatility and it can become a favorable period if one capitalizes on a strategic level and uses it to join the new trend. Wedge is basically a pattern that is continuous and one that can trade depending on where there would be market breaks, and it could break to any side or the other. So one can before considering future price movements allow the market show its hand first. Here in we’ll be considering every step, including “entry” and the right point to place the “stop loss” so that we can properly understand the setup in action. Most times, the entry point comes on the retest of a former resistant or support. Although, it is worthy of note that there may not always be a retest and that’s dependent on how weak or strong the condition of the market is. 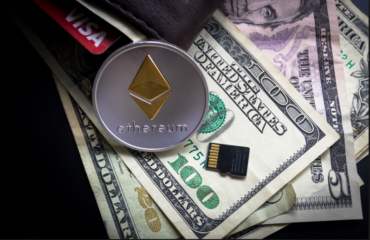 Later on in this article, this subject will be discussed more, but in the meantime, depending on where the market breaks, it is better to enter the market during retest of former resistance or support. 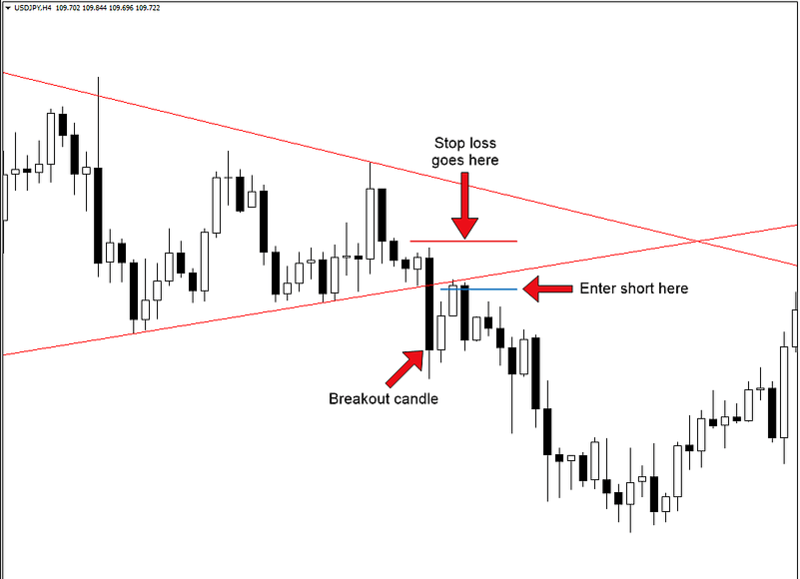 Stop loss ought to be position on top or under the breakout indicator minimally. For instance, in the breakout pattern of USDJPY, stop loss will be best suited on top of the indicator. In another example, the market can break wedge support on the breakout candle and after that retest former support as new resistance. Having identified when to hit the market and position the stop loss, we may now learn to set the target. We’ll use price levels that are simple so you may even be able to guess how we’ll be setting up profitable targets. By considering the time frame of each day for a USDJPY breakout pattern, we’ll try to identify a target in terms of a breakout trade. 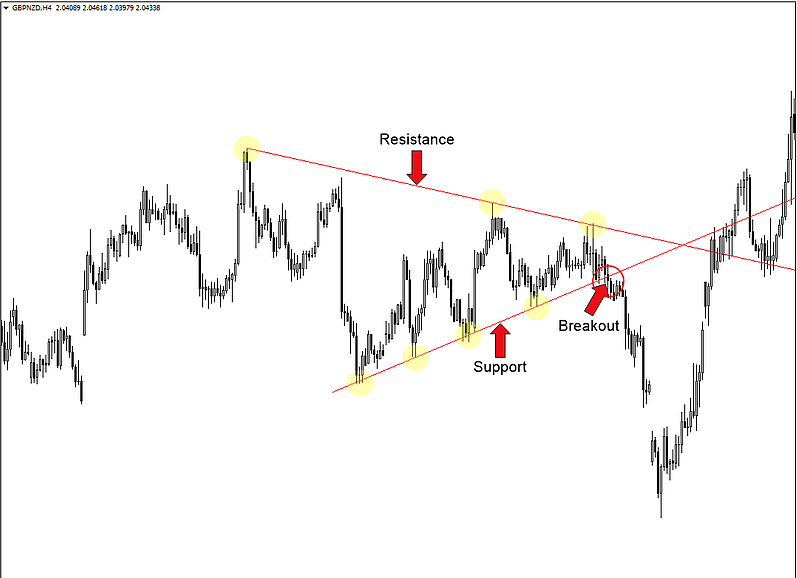 If there’s an area of support that is strong, this would be a good target area for the trade setup. At this point, let’s focus on more examples regarding Forex Breakout technique. This is a wedge pattern that normally occurred on GBPNZD four hour time frame. A significant point worthy of note here is the fact that there wasn’t any former support of retest when there is a breakdown of the market downwards. 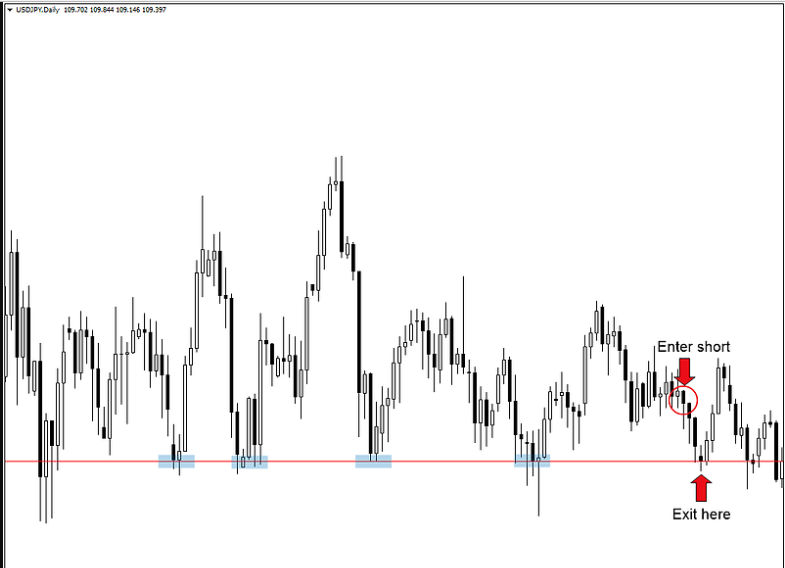 In the example, the market before dropping 430 pips failed concerning the former support. The fact that the market failed is not a license for one to miss a trade. Within the next few candles, we would consider as a technique for forex. So whenever one notices a sideways market movement within 3 or four, it’s an indication that the market would not give a retest that is full. Putting the GBPNZD four hour time frame under consideration, once it is observed that the market is moving sideways when you have tried more than once, this shows that there is not enough strength to wedge support. The right time to participate in the trend is by using a market order when this is noticed to have begun happening. So if from the entry the stop loss is pegged at 45 pips, and we’ll ordinarily want the stop loss to be either above or under the breakout point, then because this setup is short we place the stop loss high. Similarly, at the entry point, our take profit was 175 pips. These lows are helped in identifying the target. Even though through hindsight this looks good, 175 pips away were the target, which succeeded in producing a healthy trade of 3.9R. So if on this trade one 2 percent was risked, such a person would have made coasted home with 7.8% profit in a setup that from the beginning to the end lasted for 36 hours. It’s certainly not a bad trade to have risked 2% and made a profit of 7.8% in 36 hours. Let us consider the USD/JPY daily time frame breakout that occurred as we wrap up as it represents that which is possible with respect to the subject matter. You will notice that before breaking higher on this subject, it took a long time for the market to be consolidated. The consolidated period lasted for 180 days from the beginning to the end. This occurrence, therefore, explains something profound about Forex Breakout technique. The longer it takes for the market to consolidate, the more the volatility of the breakout. It might not be this way all the time, but for like four times in 5, it would operate with this concept of the volatility level being proportional to the length of consolidation. Anyone who leverages on the breakout point to trade consistently until such a time when the market has consolidated would make enough profit. Whenever a stop loss is under the breakout point, it means there are 50 pips which have a potential for 600 pips thus resulting in a really healthy trade of 12R. This means that with a risk of only 2% such a person would coast home with an amazing profit of 24%. Although this kind of 10R+ trades does not happen all the time, they do occur sometimes. So leveraging on the knowledge gathered here, it will become easy to make profits from this pattern whenever it occurs. 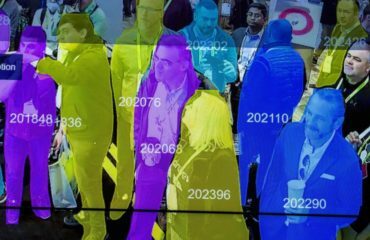 A whole lot has been explained in this article. 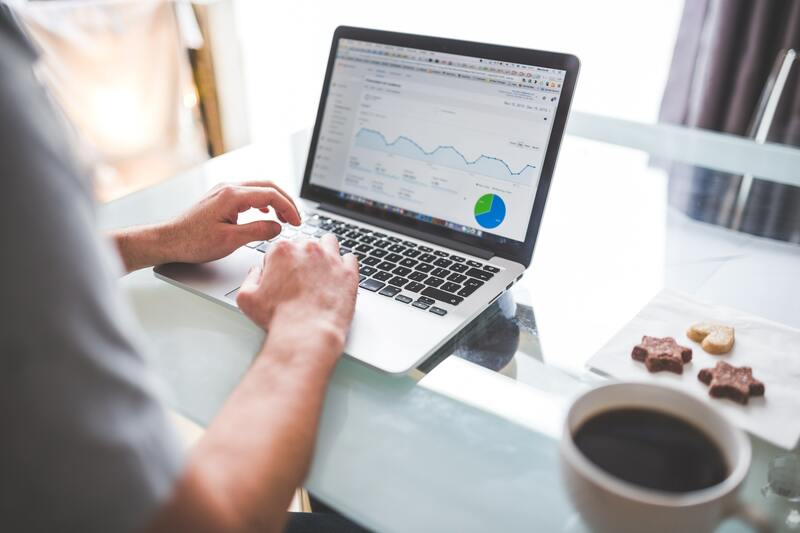 The following are the main points so you can begin implementing them in your plan as you trade. 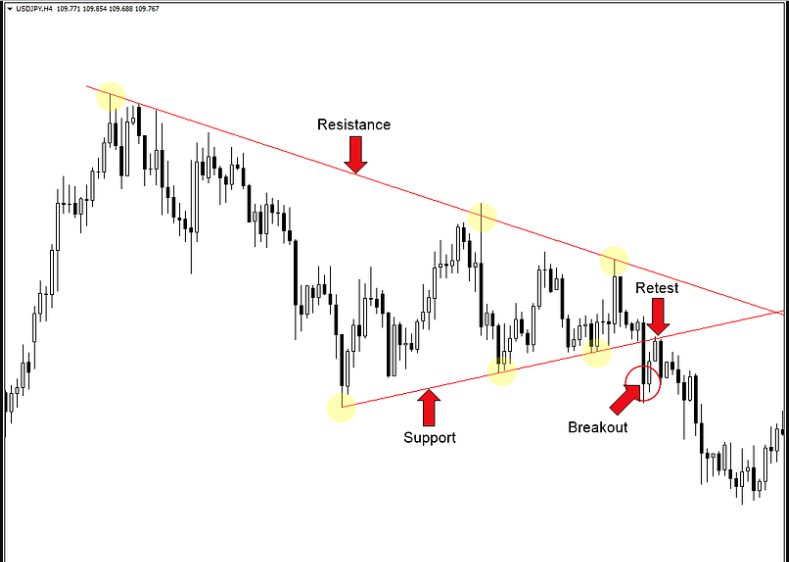 • Forex Breakout technique comprises of four different parts – Resistance, support, retest, and Breakout. • When there is a retest of former support, it presents an opportunity to hit the market. • If after 3 to 4 attempts after a breakout the market begins to go sideways, it is very likely that former resistance or support would not be produced. 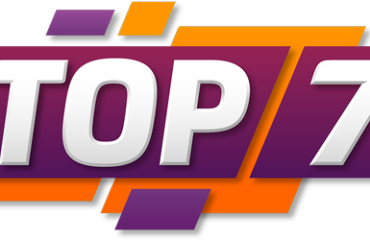 • Dependent on which way the market breaks, the stop loss are generally placed at top minimally or beneath the breakout point. • It is proper to identify the potential targets of this breakout technique by using price action levels. One can begin from the recent high or low swing. • Generally, the level of volatility of a breakout is dependent on the length of the market consolidation.